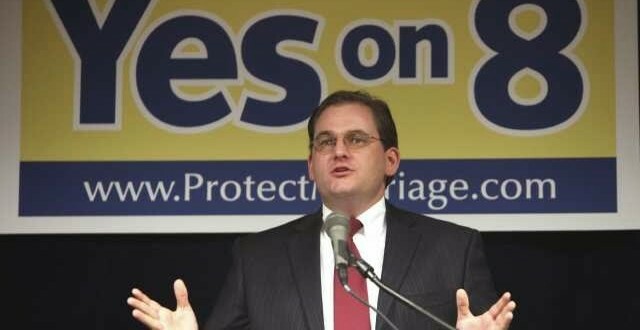 Prop 8 Backers Money Beg On SCOTUS: True Marriage Is Making A Comeback - Joe.My.God. “Finally, the outrageous rulings of activist judges around the nation–that nullified the will of millions of citizens who voted to preserve traditional marriage–will come under Supreme Court scrutiny. We could be on the cusp of a huge comeback for true marriage! I remain confident that the Supreme Court will uphold the states’ rights to define marriage. Even as Justice Anthony Kennedy wrote the majority opinion striking down the federal Defense of Marriage Act (DOMA) in 2013, he did so because it infringed upon the states’ authority over marriage. He relied on the states’ ‘essential authority to define the marital relation’ and our nation’s ‘history and tradition of reliance on state law to define marriage.’ As a key swing vote on the Supreme Court, Justice Kennedy’s viewpoint could very well determine the outcome here. Now it’s time to pull out all the stops for this final battle for marriage in the legal system. Will you help? Please help us fight this battle with your tax-deductible and confidential contribution of any size.” – Protect Marriage head Andy Pugno, via email. Next Lambda Legal: What If We Lose?